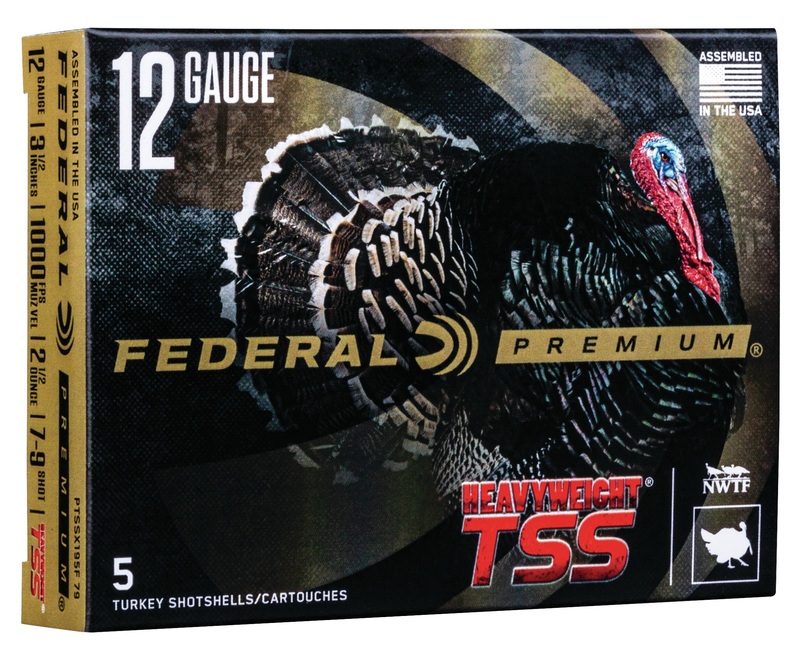 ANOKA, Minnesota - February 11, 2019 - Federal is proud to introduce five new Premium HEAVYWEIGHT TSS turkey shotshell loads, extending the revolutionary shells’ deadly reach on gobblers. Shipments have been delivered to dealers. The new offerings include blended loads that combine No. 7 and 9 or 8 and 10 Tungsten Super Shot. With some payloads topping 1,000 pellets, they more than double the shot count of lead No. 5 loads of the same weight for more hits on target than any turkey load in history. The tungsten-alloy material’s 18 g/cc density is 22 percent higher than standard tungsten and 56 percent more than lead. The result is the most energy and highest velocities at extreme range. 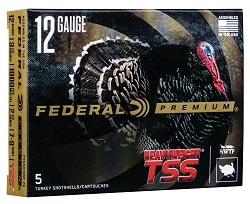 Its rear-braking FLITECONTROL FLEX wad performs flawlessly through ported and standard turkey chokes for the most consistent, deadly patterns possible.